Fall is always a busy time in Granford, Massachusetts, and I’m not talking about the leaf-peepers who clog up the highway through town. At least some of them stop at our still-new restaurant Gran’s (yes, that’s a shameless plug for the place, but the food really is good). For one thing, it’s harvest season, and that means that Meg Corey, who I plan to marry as soon as she gets around to setting a date, is in the thick of picking the apples in her orchard. Usually she has enough pickers lined up ahead of time, but this year one of them bowed out, through no fault of hers—she’s a good employer and pays a fair wage. Since they’re Jamaican, they need special visas to come and work, so it’s not easy to just drop someone else into the job. All that meant that Meg had to step up and do her share of the picking too. At least the crop is pretty good this year, considering the recent drought. Who would have thought that working side by side with the pickers would get her involved in solving a murder? Anyway, as I was saying, I’m just as busy as Meg, because everybody in town looks at the calendar in September and decides they really have to do all those home renovations they’ve been talking about all year, but now they’ve only got a couple of months before winter. And that’s when they call me. Don’t get me wrong: I’m happy to get the work, and I love working on the older (that is, two-hundred-year-old) buildings in Granford, but it would be really nice if I could spread it out over the rest of the year. It was a treat to be asked to help expand the historical society in town (before winter, of course), but even that led to some surprises. No wonder Meg and I are having a problem making any plans: we don’t have time to think. I can’t wait for winter, when everything will quiet down—I hope. And the contest goes on! 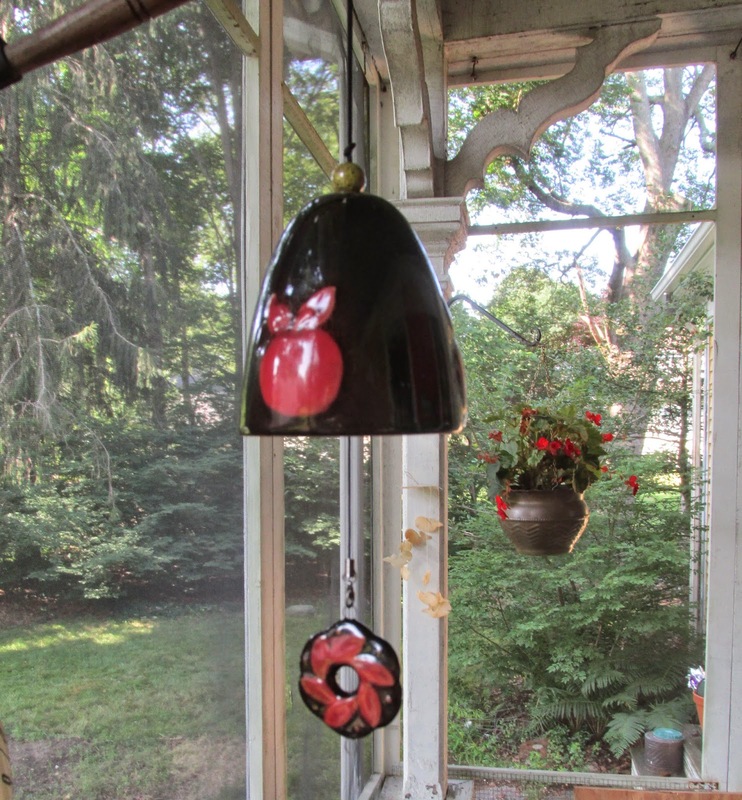 Leave a comment by midnight on 7/25/14 for a chance to win not only a signed copy of Golden Malicious (Orchard Mystery #7) but also this apple-themed wind chime. Be sure to include your email address in the comment so we can get in touch with you if you win. You can not get together long enough to decide anything bevause you are both too exhausted at the end of day. Ooh, this sounds SO good. I cannot wait! Book sounds great. The winter is busy as well with school and games. I was so thrilled to see Seth and Meg getting engaged! I'm anxiously waiting for the day Picked to Die is released. My daughter gets married in a year. Lots of planning going on! I can't wait to check in with Meg and Seth! Looking forward to a new book in the series! Sounds like a great series. The wind chime is perfect for a school teacher/librarian. Adorable wind chime - great series! I love this series. So happy for Seth and Meg!! I like seeing how Meg has really become so knowledgeable about the orchard, and the relationship between her and Seth is very special. Thanks for the contest. I would to read this book, I love house renovation series on TV. Thank you for the chance. A new author to me. Sounds like a good book. Book 7? I think I missed a couple. Will have to get caught up. I'm in the mood for a cozy mystery week. Every time I think things will slow down, they don't. Hope things slow down for you this winter. We are hoping our outdoor home renovations will be done before September and we can start inside. At least we don't have the snow to worry about. Another series to catch up, and the wind chime is charming. I really enjoy this series. Can't wait to read this book. Sounds like a great series. My husband and I are doing renovations on our house. I love this series. I'll be anxiously awaiting the next book. Great series! Looking forward to this newest installment! Thanks for the chance! Apple orchids in the fall. What a lovely idea as I sit in 90 degrees with high humidity. Love this series and the wind chime. Fall is a busy time of year, but I love apple picking season. Winter does bring a slower pace. This one of Sheila Connolly's but I haven't read. I need to get back to this series. I'll take a busy fall over winter anytime. Anxious to see if Meg and Seth can finally pin down a date. who will be the one to be killed in this story??? When I was a kid my parents and I would go apple picking. I loved climbing the trees and getting the best apples! Love Sheila's Orchard, Museum and County Cork mystery series. This is one of my favorite points in a series: when two protagonists finally work to tie the knot! But then again, will they actually be able to? I always look forward to each new book in this series and can't wait to read it. I live in NY State's apple country and always enjoy this series! Love the little windchimes, too. I love Ms. Connelly's Ireland series and the Museum series, now to get into this one! I do like apples! Book sounds great and I do love my wind chimes. I am sure that I am too late for the contest due to not being able to spend more than 15 minutes a day sitting up at the computer, but I would still like to take a chance to be chosen for the lovely contest of the apple wind chime and your book. I have LOVED this series and I am always so anxious for the newest to be out to see how Meg and Seth are doing. I have read other series but this is my favorite of yours by far. Probably being from MA and from knowing the area of the fictional town of Granby makes it seem more inviting tome, not sure, but I do love this series. Thank you for the possibility of being included in the contest. 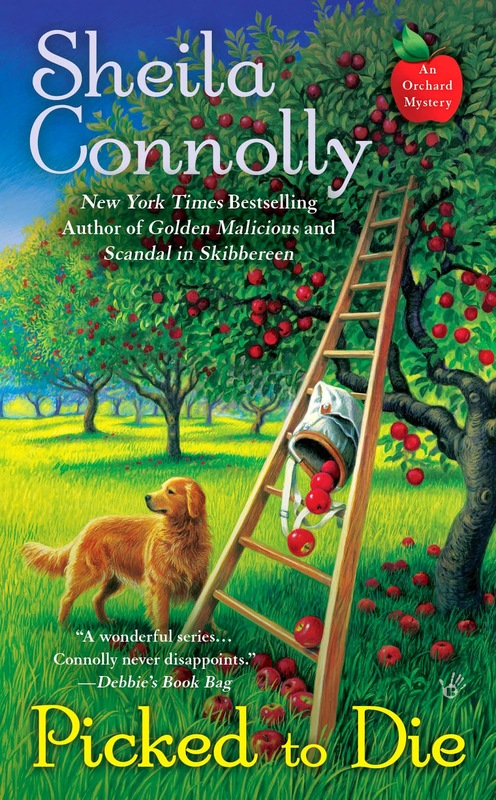 I still wanted to let you know how much I love the Orchard Mystery series no matter what. Keep up the great writing, Sheila.